How to monitor last 10 long of your Gmail account? Addbucket » Tech » How to monitor last 10 long of your Gmail account? Goole has included really interested tools in Gmail called account activity. The link of account activity can find at right hand side, bottom of your Gmail home page. This tool is very useful if you want to know that your Gmail account when, what time and from which devise has been accessed. If you have suspicious about misuse of your Gmail account then this is one of the best ways to reach the final person, who is misusing your Gmail. 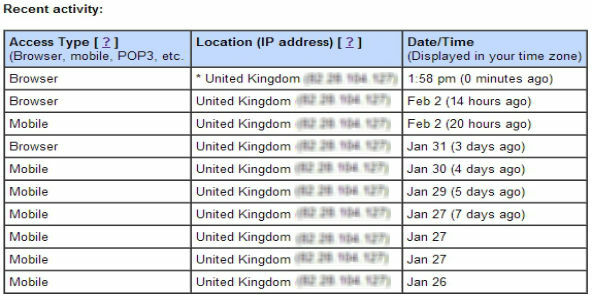 This tool offer such a good information about the last 10 log like date & time of an entry, location & IP address of the gadgets from where your Gmail has been accessed. Like I mention above about the link of account activity is available at right hand side, bottom of your Gmail home page. Now you know how to keep your eyes on the access of your Gmail?